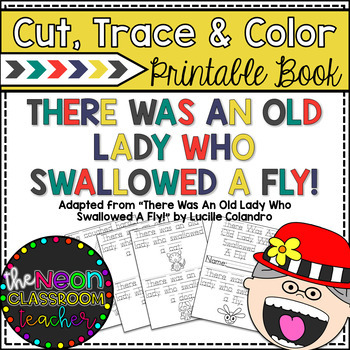 "There Was an Old Lady Who Swallowed a Fly" Cut, Trace & Color Printable Book! Included in this package is a 9-page (8.5 X 5.5 inch pages) adapted book from the book "There Was An Old Lady Who Swallowed a Fly" by Lucille Colandro! This printable book is a great book for those early learners.